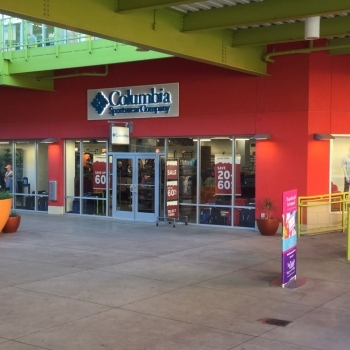 The Columbia Sportswear Factory Store in The Outlet Shoppes at Laredo is located along one of the oldest US-Mexico border crossing points. In English, Laredo means 'beautiful pastures' and there are plenty of them for Columbia enthusiasts to explore, along with the Rio Grande Plains, the Edwards Plateau, and the Mexican Mountains. Minutes away, Lake Casa Blanca International State Park is a PFG paradise featuring waterskiing, swimming, boating, fishing, and hiking. The new Columbia Factory Store will have everything you need for adventure. Columbia has been creating innovative apparel, footwear, accessories and equipment for outdoor enthusiasts since 1938. Columbia has become a leading global brand by channeling the company’s passion for the outdoors and innovative spirit into technologies and performance products that keep people warm, dry, cool and protected year-round.